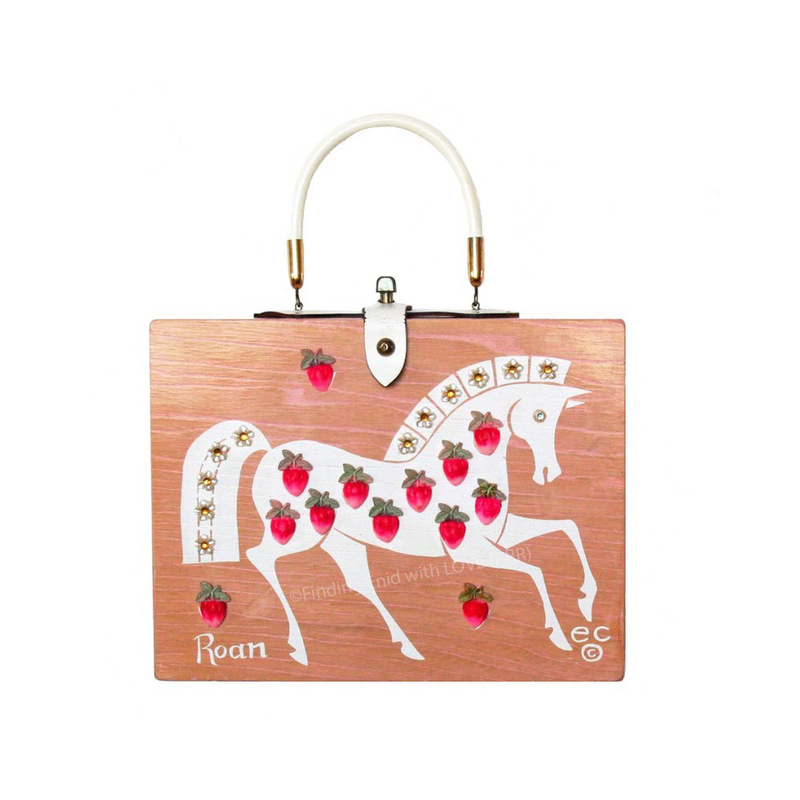 Square box purse depicting the profile of a prancing horse done in a style evocative of Ancient Greek art. White screen printing embellished with satin strawberry appliqués and acrylic pearlescent flowers with sparkling amber centers. A strawberry appliqué plus the word "Roan" appear in the lower right corner, where Collins regularly titled her work. One of multiple variations on this theme. Shows typical wear, including to handles; original screen print unmarred and vivid; appliqués intact, in place and in good condition. One of several designs featuring horses, a favorite subject of Enid Collins and her collectors.